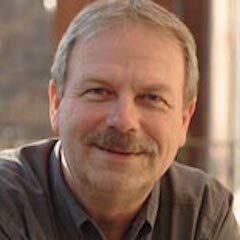 Ted Hasselbring has conducted research for the past 30 years on the use of technology for enhancing learning in students with mild disabilities and those at risk of school failure. Dr. Hasselbring was a special education teacher in New York. In 1977, he began his career in higher education as an assistant professor at North Carolina State University. In 1982, Dr. Hasselbring joined the faculty of Peabody College of Vanderbilt University where for eighteen years he served as the co-director of the Learning Technology Center and conducted research on using technology to provide instruction in reading and mathematics. This research resulted in several widely used computer-intervention programs for struggling learners, including READ 180, FASTT Math, and Simon SIO. In 2000, Dr. Hasselbring moved to the University of Kentucky as the William T. Brian Professor and Endowed Chair in Special Education Technology. While at Kentucky, he also served as the executive director of the National Assistive Technology Research Institute. In 2006, he returned to Vanderbilt to resume his research and development activities in computer intervention. 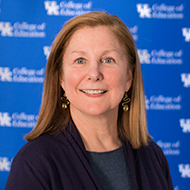 Margaret E. Bausch, assistant professor in the Department of Special Education and Rehabilitation Counseling at the University of Kentucky, earned a Master of Science Degree in Special Education Learning Disabilities and a Ph.D. in Special Education Technology from the University of Kentucky. Dr. Bausch spent nine years as a teacher of students with learning and behavior disorders before devoting her efforts to research and development projects in assistive and instructional technology. She has served as a co-principal investigator of the National Assistive Technology Research Institute, a federally funded project designed to examine factors related to the planning, development, implementation, and evaluation of assistive technology services in schools. Currently, Dr. Bausch is serving as the principal investigator of the Kentucky Assistive and Rehabilitative Technology Training grant that is providing scholarships to prepare personal from varying fields to integrate instructional and assistive technology into the school curriculum, post-secondary education, employment situations, and the daily lives of persons with disabilities.